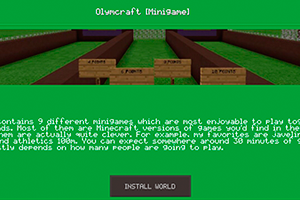 Installs Worlds and packs automatically with a click on your Minecraft Pocket Edition! With this app you can add all the Worlds or packs that you want without any problems, there are no limits! The only app with Addons with automatic installation on the App Store. We update every hour Addons and add new ones, you can also access the Worlds and Packs most famous in the world.